Season seven of The Walking Dead finished last night, but what about Fear the Walking Dead? Today, AMC announced season three of the TV series will premiere in June. Season three of Fear the Walking Dead debuts on June 4th at 9 p.m. ET/PT with back-to-back new episodes. NEW YORK, NY – April 3, 2017 – AMC’s “Fear the Walking Dead” will return for its third season on Sunday, June 4 at 9:00 p.m. ET/PT as announced during last night’s “Talking Dead.” The first half of the season will consist of eight episodes airing over six weeks, with two back-to- back episodes on Sunday, June 4 and a mid-season finale of two back-to-back episodes on Sunday, July 9. What do you think? 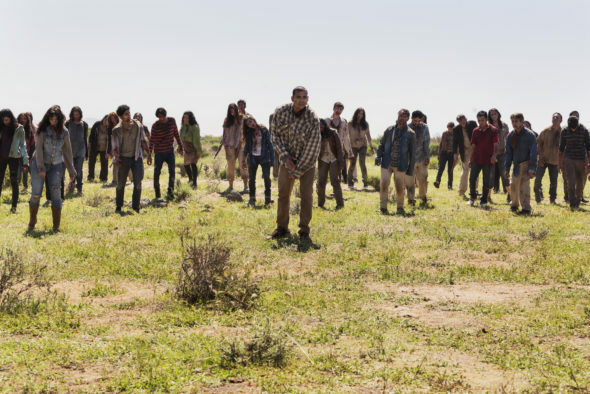 Are you a fan of Fear the Walking Dead? Will you watch season three? Happy to see Fear the Walking Dead will be on soon !!!!!!! GREAT SHOW !!!!!!! !